Top 5 HR Risks: What Can You Do About Them? If you lose a key employee what impact will it have on your business? 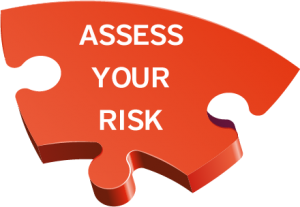 We all have some employees we consider mission critical while others are more easily replaced; losing either type of employee can expose your company in one of several risk categories of risk. Don’t you agree that employee’s are your most valuable asset? So what can you do to retain them and mitigate risk? Measure turnover Benchmark the cost of turnover against industry competitors. Then calculate the cost of replacing and training new employees to show the dollars saved and the cost that could have been avoided by turnover. Use a strategic approach to aligning employees with your business. Identify the best behaviors for engagement. Weigh the gaps between talent capabilities and business goals. Address your selection/staffing process and the compensation and incentives paid. Don’t let valuable employee’s age out or jump ship for a dollar. Put strategies into play to reduce turnover for your business.